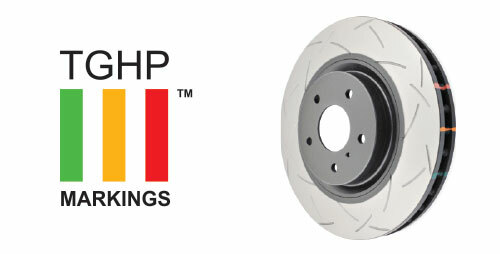 This brake rotor has three heat sensitive coloured markings. 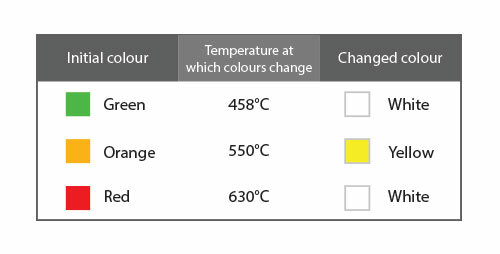 These markings allow you to monitor the temperature that the disc rotors have experienced and help indicate the efficient and their recommended working temperatures. Tighten wheel nuts in a criss-cross sequence shown in the diagram by hand and check with a torque wrench. Failure to tighten nuts in a criss-cross sequence can cause uneven clamping of the rotor. 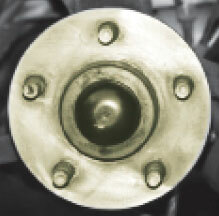 Ensure all nuts are tightened to the torque recommended by the vehicle manufacturer. Aftermarket wheels may require different wheel nut tightening torques. If in doubt seek advice from manufacturer or supplier. 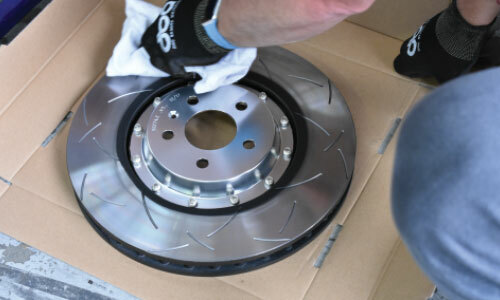 Before fitting disc rotor, moisten cloth rst with brake cleaner and wipe clean the face of the disc surfaces where the disc pads rub. AS THIS WILL REMOVE THE PAINT. Check that the wear tolerance in the hub bearings is within the manufacturer’s tolerance. 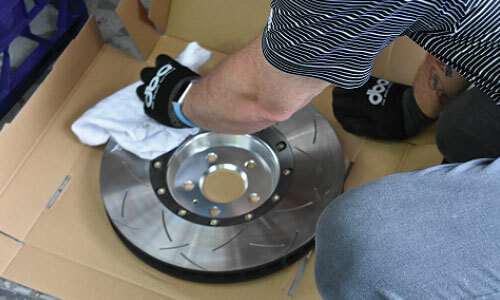 Clear rotor to hub mounting surfaces thoroughly with a wire brush and emery paper to remove all rust scale and debris. Check rotor to hub mounting surfaces for damage, burrs and/or distortion. Repair or replace if necessary. 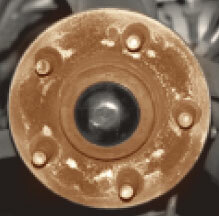 Failure to have a clean and smooth hub/rotor mounting surface(s) can result in the rotor being mounted with excessive runout. The installed runout of the rotor must not exceed 0.05mm. 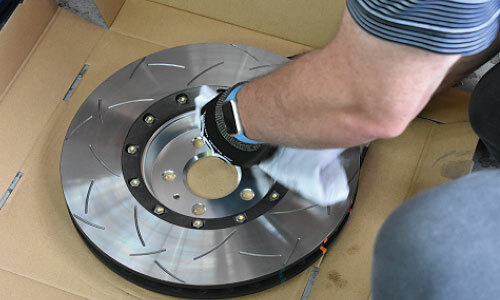 Excessive runout will result in DTV (Disc Thickness Variation) being worn into the rotor within as little as 1000 – 2000kms. 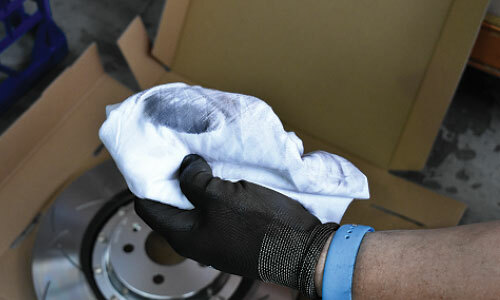 Cleaning a disc rotor correctly will often eliminate any issues with squeal, runout (DTV) and pad contamination. 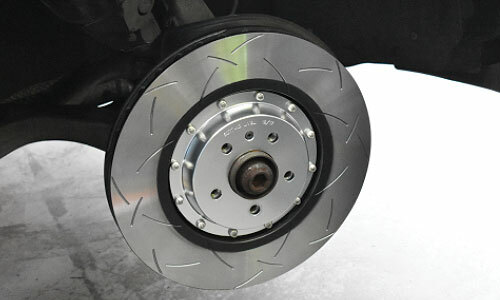 Most disc rotors have a protective coating applied post production to avoid any corrosion during storage. It’s a simple process that can be done in less than a minute. 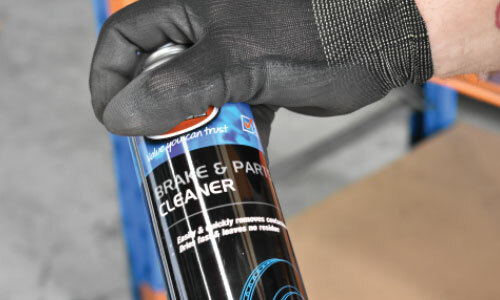 Applying directly onto the disc rotor can damage any paint coating intended to protect the rotor from corrosion.